BEIJING — Asian stock markets were mostly higher Wednesday after Wall Street declined. Shares in China were mixed after leaders approved a plan to give foreign investors more access to Chinese equities through Hong Kong. KEEPING SCORE: Hong Kong's Hang Seng gained 0.5 percent to 23,016.18 points and Tokyo's Nikkei 225 advanced 0.5 percent to 16,679.89. Seoul's Kospi added 0.9 percent to 2,017.94 and Sydney's S&P-ASX 200 rose 0.4 percent to 5,492.40. The Shanghai Composite Index shed 0.1 percent to 3,105.12. Benchmarks in New Zealand and Malaysia advanced while Taiwan and Singapore declined. WALL STREET SLIDE: U.S. stocks slid as investors sold phone company and utility shares. Stocks have wavered lately as investors review mixed reports about the U.S. economy, trying to get a sense of its health. On Tuesday, the Federal Reserve said U.S. factories cranked out more autos, machinery and chemicals in July, which suggests manufacturers might be recovering, though growth is little changed from a year ago. The Commerce Department said the pace of home construction grew by the most since February. 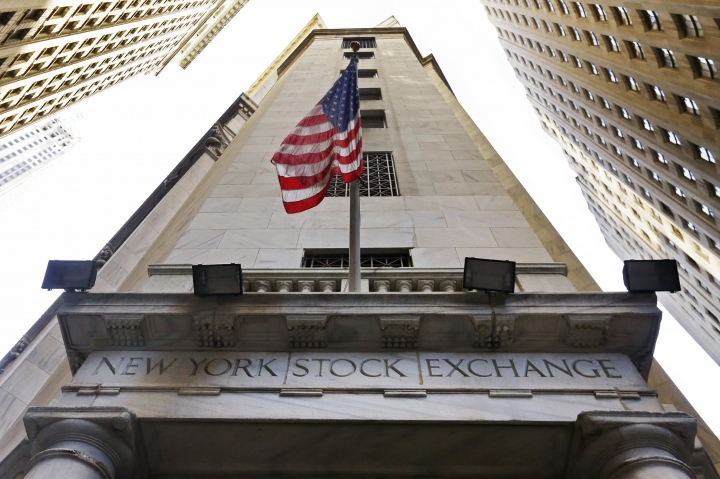 The Dow Jones industrial average lost 84.03 points, or 0.5 percent, to 18,552.02. The Standard & Poor's 500 index slid 12 points, or 0.5 percent, to 2,178.15. The Nasdaq composite fell 34.90 points, or 0.7 percent, to 5,227.11. HONG KONG STOCK LINK: China's Cabinet announced approval of an initiative that would give foreign investors more access to Chinese stocks by linking exchanges in Hong Kong and the mainland city of Shenzhen. Hong Kong is Chinese territory but its financial system is open to foreign investors while mainland markets are sealed off from global capital flows. The Chinese premier said the move will help to reinforce Hong Kong's status as a financial center, and it helped to boost sentiment there on Wednesday. But analysts said the influx of foreign money into Chinese stocks is likely to be modest. A similar measure to link Hong Kong with the Shanghai stock exchange took effect in 2014. Shares in Shenzhen were higher on Wednesday. FED WATCH: Investors looked ahead to Wednesday's release of notes from the U.S. Federal Reserve's July meeting for insight into the debate among board members over when to raise rates. One member of the policy-making board, William Dudley, said earlier it was premature to rule out further tightening this year and another member, Dennis Lockhart, said Tuesday there could be two hikes in 2016. The Fed's earlier decision to hold off raising rates has weakened the dollar, helping exporters. CURRENCY: The dollar gained to 100.57 yen from Tuesday's 100.33 yen. The euro edged down to $1.1274 from $1.1276. ENERGY: Benchmark U.S. crude shed 22 cents to $46.35 per barrel in electronic trading on the New York Mercantile Exchange. The contract rose 84 cents on Tuesday to $46.58. Brent crude, used to price international oils, tumbled 34 cents to $48.89 in London. It added 88 cents the previous session to $49.23 per barrel.